In a change of pace, we decided to enter a Car Trial. We used to do quite a few of these when we lived in Essex, as there were quite a few local events. We entered this event for a few reasons, a) it was local, b) the points for finishing will help in the Chelmsford MC Clubmans Championship and c) it will give some practical in searching for grip. 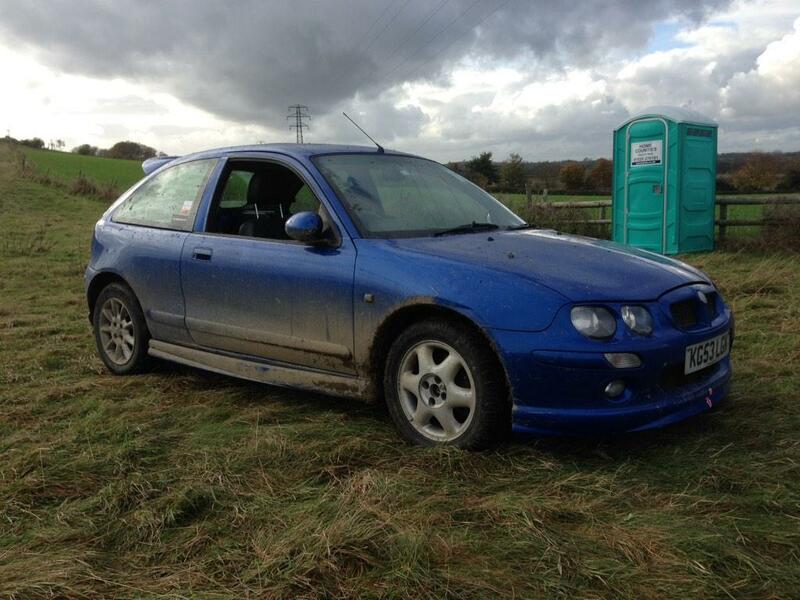 Given how close Wales Rally GB is now, it made sense to use my road car a MGZR. The day started off with some very heavy rain, which made the hills very slippery to start with, on some hills we were scoring a ’12’ which is the maximum (lower scores are better) as just getting off the line was very difficult. During the morning the weather was very mixed with sunshine and heavy showers. By lunchtime it was clear we wouldn’t be beating the only other car in our class (road going cars) a 1600 Saxo which was being driven a by a trailing regular. During the lunch break the sun and wind helped to dry out the venue, which lead to a good increase in grip. This made the afternoon more enjoyable as the hills were now more manageable and we managed to score a few 2’s and one 1! Below are some on-board videos, recorded on one my ‘spy’ key ring cameras which I was testing for WRGB. This entry was posted in Uncategorized on November 2, 2014 by projectmicra.